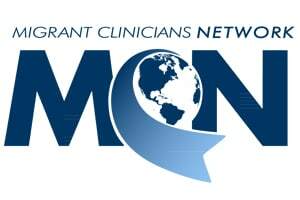 Migrant Clinicians Network’s recent webinar demonstrated the link between the workplace and the health of agricultural workers and their families. More than 175 health care professionals and others, including several international participants attended the webinar titled, Workers and Health: How Frontline Providers Make a Difference in the Protection of Migrant Workers and their Families. MCN’s Amy K. Liebman, MPA, MA and Dr. Mike Rowland, MD, MPH detailed the health risks of migrant and immigrant workers and provided strategies for clinicians to incorporate a focus on occupational and environmental health in the primary care setting. The webinar also provided participants with an overview of resources available to address occupational health and environmental health issues, including MCN’s Acute Pesticide Exposure Clinical Guidelines and Pesticide Exposure Assessment Form. MCN is a partner in the UMASH project, Seguridad en las lecherías.